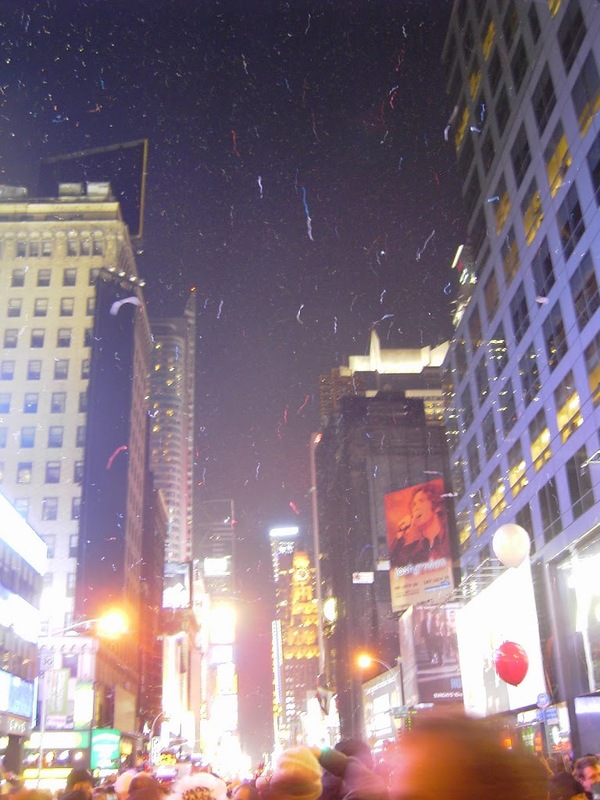 Four years ago this week my wife and I made a trip with my sister and brother-in-law to do New Years Eve the right way, by rocking it in at Times Square. 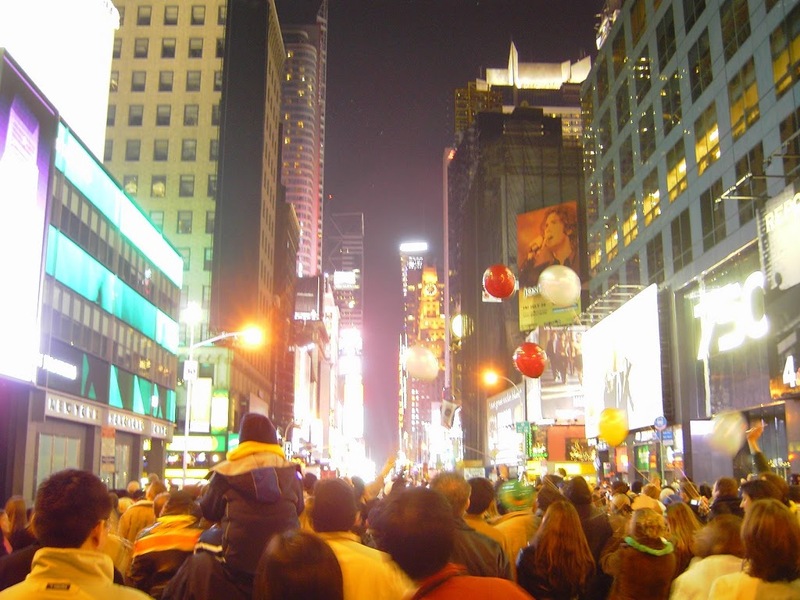 We were one of about 750,000 other morons who decided to stand for 6 hours without bathroom breaks waiting for the ball to drop. Luckily, we learned a little secret and snaked our way into a Applebees right on the main street and waited it out. It was one of the most fun things we had ever done! Happy New Years everyone! 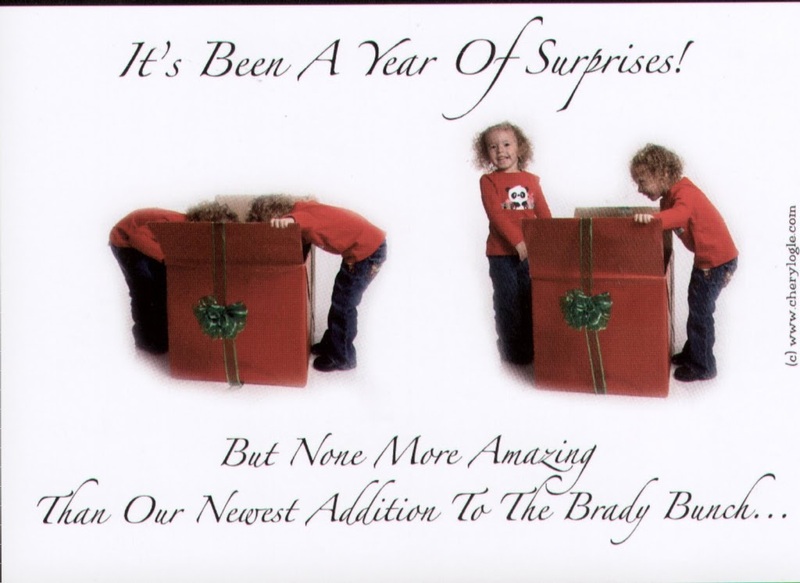 (By the way, that was BEFORE kids….this year we are spending it in front of the TV and in bed by 11pm CST). In all of my years of watching Cowboys football, I have never been more humiliated as a fan because of the last two horrible efforts put on the field coached by Wade Phillips. Unreal! You blow the final game at the beloved Texas Stadium and then you get a second chance at life and need a win over Philly and you lay a 44-6 egg!!!?? I know it is “just a game”, but for those of us die-hards who pay big money to rely on competition to serve as a break from the reality of life, the gutless efforts put on display by these overpaid coaches and multi-millon dollar players just makes me wanna barf. Can someone over there take control, get a little ticked and realize that us fans are their employers!? There is too much ego, no intensity, no discipline and no focus. Talent does not win games, heart and determination does. The Cowboys showed none this entire year. Sure there is always “next year” but this gang of thugs don’t deserve the attention. 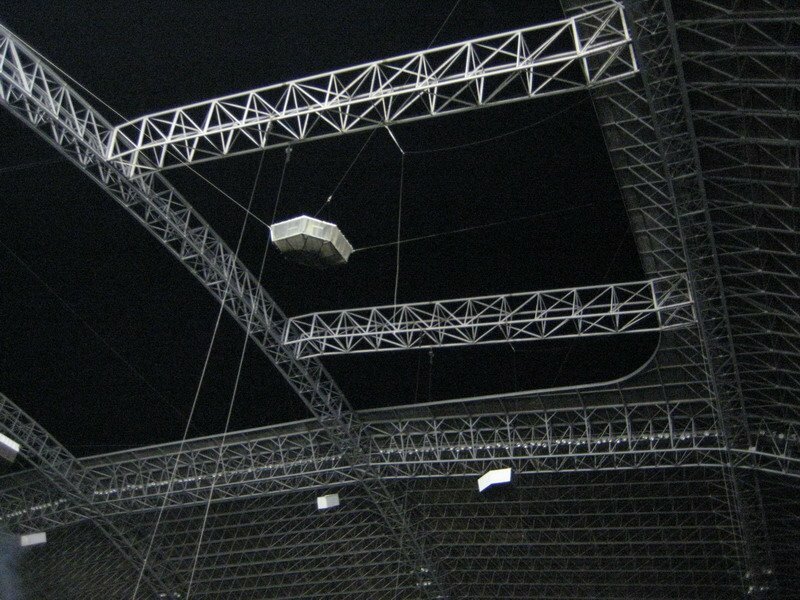 For 37 years Texas Stadium has stood in the crosspaths of the metroplex as a beacan of sports hope. Ever year Cowboy fans have gathered around her 8-10 times a year to step away from reality for a day with high expectations our Boys might find their way to another SuperBowl run. 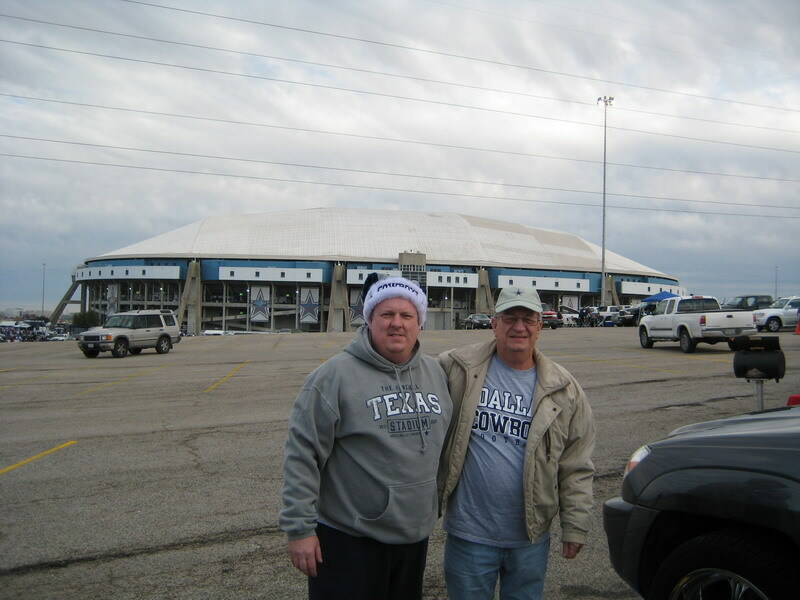 I too have spent my share of time at Texas Stadium. My dad took me to my first game against the St. Louis Cardinals in the 80s. I worked at the Stadium in 1990 helping people find their seats while earning $25 a game, my company was fortunate to rent a suite for 3 years and now I have season tickets on the lower level. The Cowboys are my drug. They are my escape from it all and Texas Stadium has been my dealer and last night she gave it one final bow as we turned out the lights on an era chopped full of incredible memories. 1. The first game I worked at the stadium in 1990. 2. The loss to Pittsburgh when Vinny Testaverde fumbled away the ball in 2004. 3. The Donovan McNabb 18 second pass play to TO. 4. The first time Equal Health rented a suite. 5. 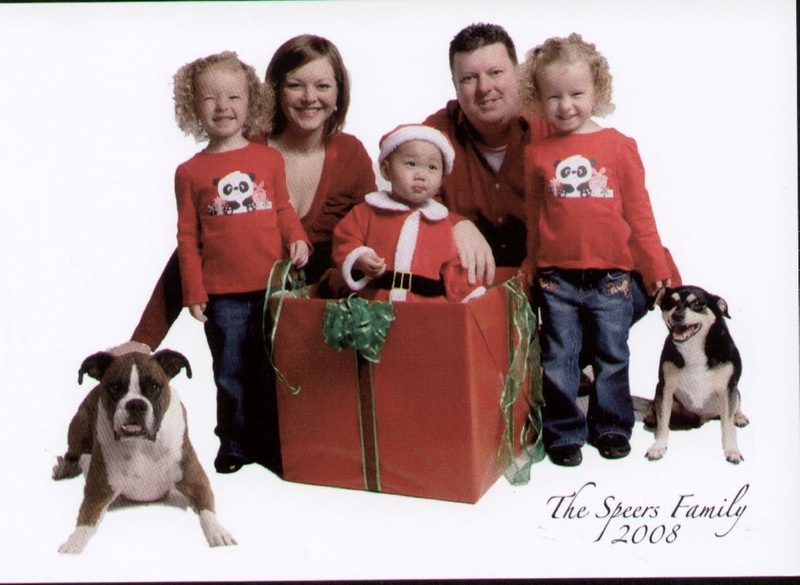 The first Speers Thanksgiving in the suite in 2005. 6. Tony Romo’s 5 touchdown game in Thanksgiving in 2006. 7. Baltimore’s 4th quarter back-to-back 70+ yard touchdown runs in the final game at Texas Stadium. 8. 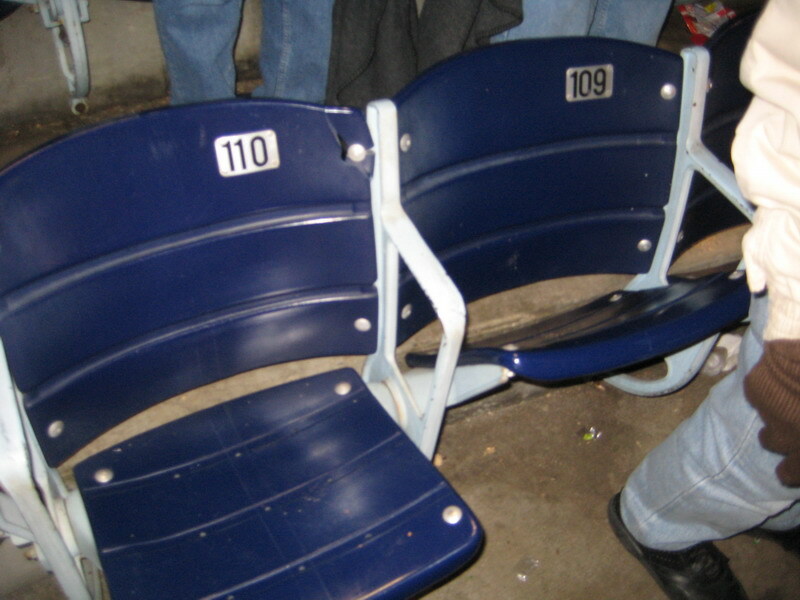 The horrible 10-9 Cowboys vs. Redskins game in 2001. 9. Promise Keepers in 1994. 10. The U2 concert in 1992. 11. The free Carman concert in 1994 with 72,000 in attendence. 12. The Cowboys victory over the Giants in 2008. 13. The burned up Aston Martin car next to us in the parking lot in 2008. I could go on forever. Texas Stadium was special. And the new Texas Stadium being built in Arlington will be neat as well. But it still won’t be the same. My dad joined me for the final game. It was coldest time I can remember there and it was a bitter loss to the Baltimore Ravens. Yet the game itself will be ranked up there as one of the craziest ending games I have seen at the Stadium. The closing ceremony was nice with over 100 former players and coaches in attendence. In the end the banners were lowered. Then, Dandy Don was shown singing “turn out the lights the party is over” as the scoreboards went dark and the lights were turned off. Thanks for all the memories Texas Stadium. An era is complete. 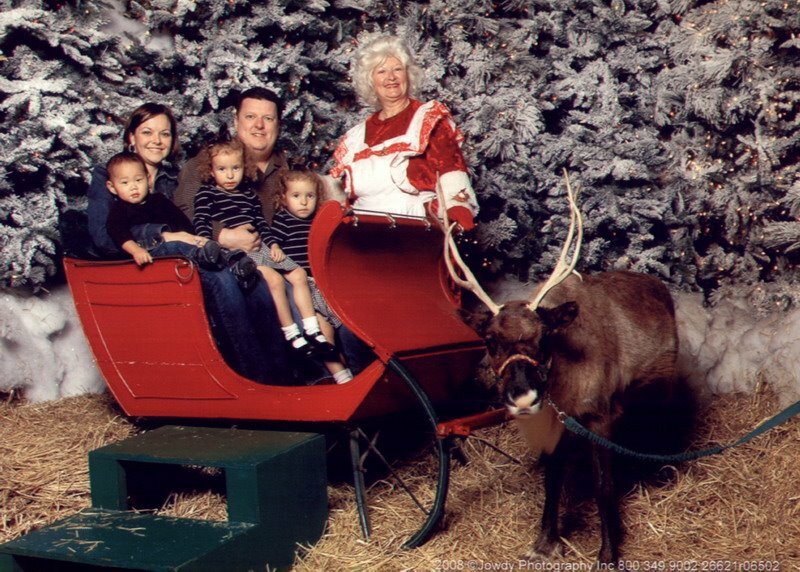 For the last 3 years the girls have kept their distance from Santa. 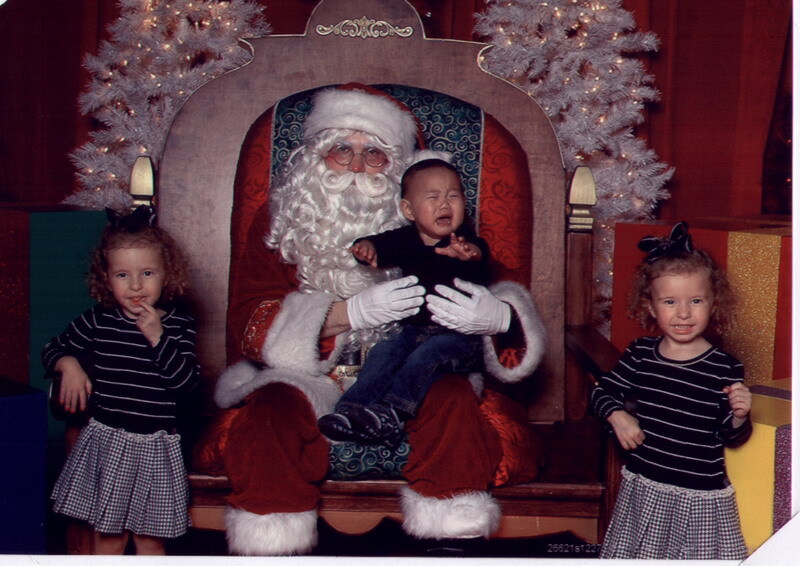 This year was no different adn Quinn joined in the fun as he decided he too did not like the guy in the big white beard. I have been a Corvette enthusiast for years now. I bought my first one in 2003, a yellow C5 convertible. Then in 2005 I bumped up to a new C6 Yellow coupe. 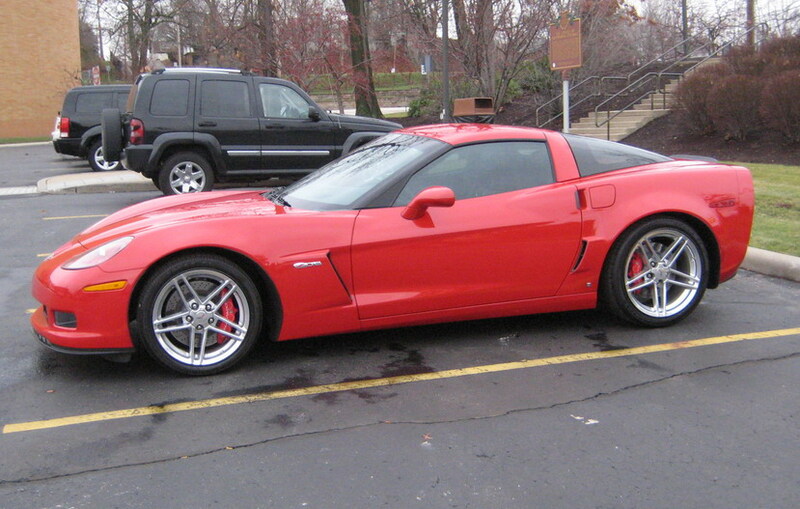 My dream Vette is the Z06 hard top however as they were introduced to us in 2006. 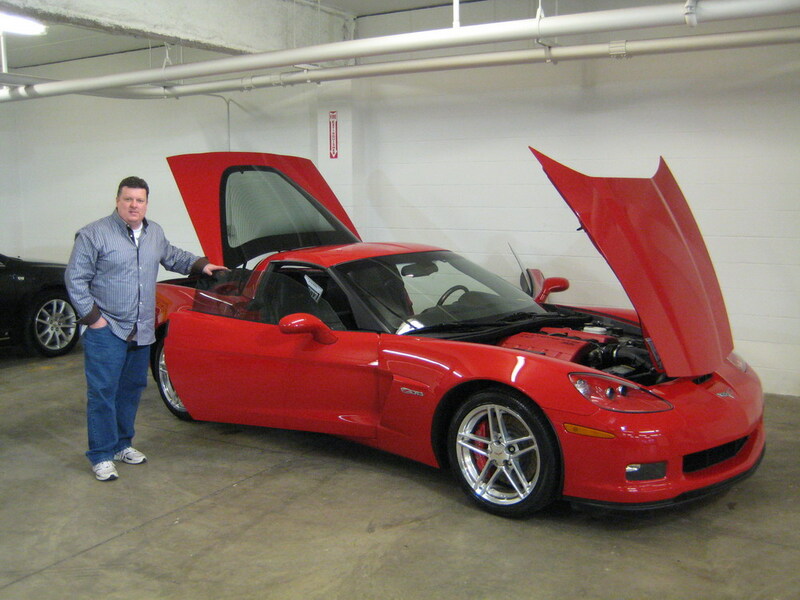 After having three kids and tail-spinning down into a minivan I had no idea just a few years later I would end up being fortunate enough to get back into a Vette and my dream car at that! Right now you can almost steal cars from dealers so I had to at least look into the possibility of getting a Vette again. I quickly learned if there ever was a time, NOW was t he time. I found a used 2006 Z06 at a dealership in Cleveland and decided to go for it. These cars were selling for over $72,000 two years ago. I would be ashamed to even share what I stole this one for with only 9,000 miles on it! 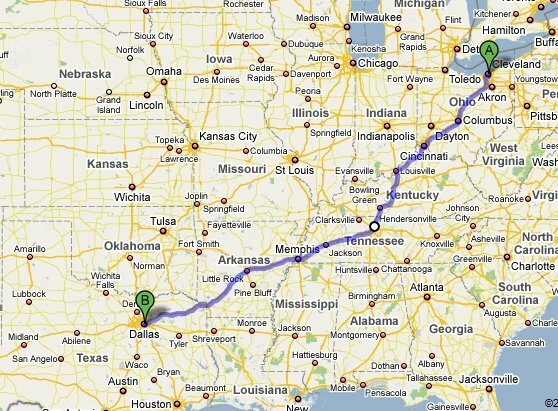 On top of buying the car, I took advantage of my love for road trips and decided to drive the car back to Texas myself. I flew Southwest to Cleveland on Monday and drove this sweet baby all the way back to her home here in Texas! I completed my longest alone road trip ever! I saw Cleveland, Cincinnati, Columbus, Louisville, Nashville, Memphis and Little Rock along they way. Plus, I got to visit the NFL Hall of Fame which was great and spent 3 hours in Bowling Green, KY where they made my Z06 at the GM factory there. I even got to tour the factory. It was unreal. The Corvette Museum was really cool too. Despite the bad weather for the entire trip (snow, ice, rain, fog) I really had fun. I stopped in Louisville and Little Rock on the way. It was a 1300 mile trip that took me from Monday until Wednesday. 1. Cracker Barrels have to be the number one restaurant in the midwest! 2. Every major city between here and there is a copycat of the other in many ways – same retail centers, same looking malls, hotels, gas stations – pretty bland if you ask me. 3. Memphis is one dirty place. 4. Cincinnati was way cool. 5. The Corvette Museum and GM Factory Tour are musts! 6. People in the North drive like maniacs in snowy weather! 7. The OJ Simpson bust in he NFL Hall of Fame is eerie. 8. Marriott has it down when it comes to hotels! Thankfully we are not just a minivan fam any longer! Julie did something few ever do. She ran the Dallas White Rock Half-Marathon last Sunday morning. That’s 13 miles my friends. She ran it with her dad and they completed the popular race in 2.5hours! Every year my company sponsors a fun Christmas party for the staff and each year it is fun but different. Parties in the past have been held at both owners homes, the Wyndom Hotel in Arlington, the Texas Star Golf Club, and even at our own office. Special guests in the past have included Buddy Pilgrim and Hall of Famer Rayfield Wright. But this year just might have topped them all as the annual party was held at the Gaylord Texan Resort in Grapevine with special speaker and current EHL sales consultant Jim Tressler. The atmosphere was amazing, the service and food was great and the fun everyone had together was exceptional. 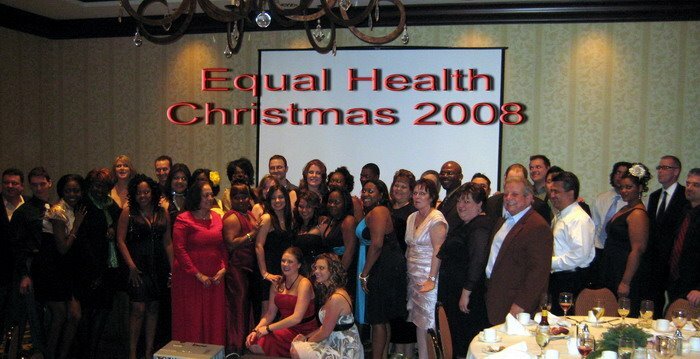 In a time when most companies are cutting jobs and many are not even having Christmas parties, Equal Health is fortunate to be one that is growing, hiring and setting an example that the Free Enterprise system of America still works! It was incredible to see my staff rewarded for such a great year in such a tough time. I visited the Galveston area earlier this week. I had hoped to get down there much earlier in order to view the area and help lend a hand. My company, equalhealth.com, had decided to make the Oak Island Community our charity drive for November. This community of about 300 families is located about 20 miles east of Galveston and was just ravaged by Hurricane Ike in September. The pastor of the baptist church there is running center point for a community that has basically nothing left. Only two homes remain liveable. People are living in tents. They need everything. My company had donated enough funds to buy about 50 portable heater so we loaded them up and I drove them down there Sunday. I was amazed at how much damage there was and how much was still left to be done. Clean up will take years. Rebuilding will take a long time as well. Galveston was under repair and was cleaned up quite a bit though the west side was still ravaged. Words to describe the entire area would be: ravaged, devastated, shredded, thrashed, and leveled. So many businesses and historical things are gone forever. Places I grew up seeing and knowing. Though the Island is recovering, it is sad to know it will never be the same. Oak Island however is in need of help and if anyone wants to do so, please contact me and I will put you in contact with the pastor. They need clean up and work grews bad and all of the media is now gone.